The physical properties of zinc make it unique and therefore a useful material to be used as cladding. Many of us are familiar with the oxidation process of steel, which forms rust. Zinc has the ability to resist corrosion due to a very unique reaction. When zinc is exposed to moisture and carbon dioxide in our atmosphere, a protective layer of zinc carbonate forms on its surface, prohibiting the corrosion process that steel experiences. This creates a beautiful bluish patina for a very desirable appearance. Isn't it a bit flimsy for Cornish weather? Although thin Zinc is very tough. It can be shaped to follow curves and angles which makes it a great design tool for architects. Zinc roofing is also self-healing, this means that when scratched by debris with a bit of time it can heal itself. This gives you piece of mind as once it’s installed you can forget about it. Is it expensive for a Zinc roof? Zinc is weatherproof, corrosion resistant, and not degraded by Ultra Violet light. As a result, zinc roofing and cladding has a very long service life, and can in theory last up to 100 years without degradation. This makes your roof in real terms very good value for money. 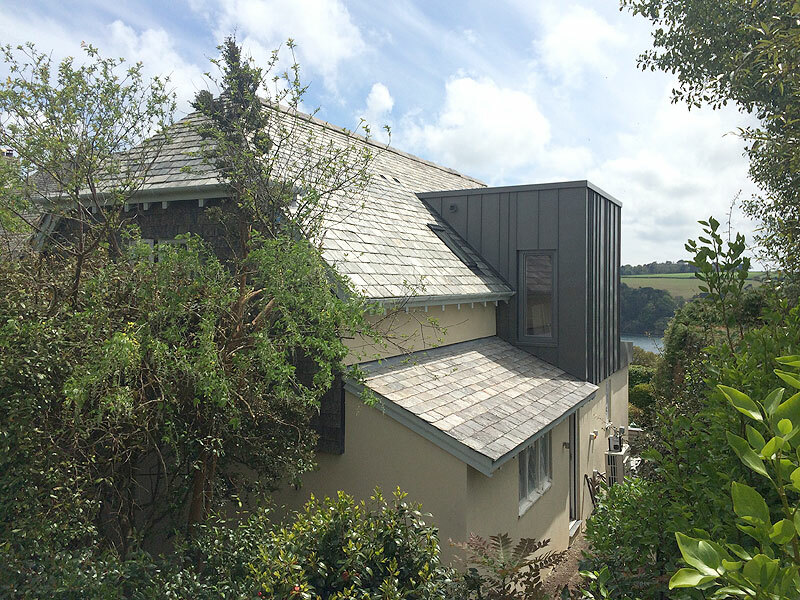 Even better is that zinc roofing can also be cheaper to start with – it compares really well at the moment to alternative metals such as copper and lead (of course) and even stainless steel. Won't it be noisy when it rains? Not at all. The roof is very well insulated so the noise will be very muted. Compared to other metals Zinc takes less energy to create than copper, stainless steel or aluminium. When, eventually, it is time to replace the roof the Zinc can be taken down and is 100% recyclable so this can help with the cost of the new roof. Zinc is also a fungistat, which is an agent that prohibits the reproduction of mold, mildew and fungus. This greatly reduces the risk of moss forming on the exterior of a building in areas that are in contact with the metal. Zinc can also be used in areas where vegetation is present, as it will not damage or compromise plant growth.